We offer a bespoke property maintance service meeting all your needs. Offering all roofing services, from a simple repair to a new roof. 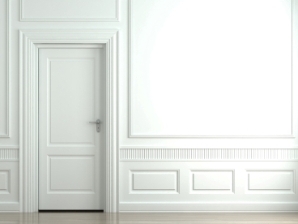 We offer all painting and decorating services at competitive rates. 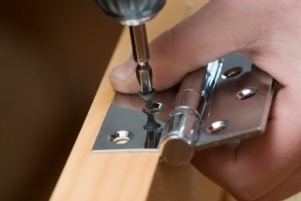 We have many years of experience in all areas of carpentry and joinery. Is your home or business in need of refurbishment, redecoration or repair? Look no further than Property Maintenance. Property Maintenance is a reliable and friendly company working with homeowners, landlords and businesses across London and the Home Counties of Bromley, Kent and Surrey. With our experienced team of plumbers, carpenters, roofers, project managers and other specialist tradesmen, we willingly tackle jobs of all sizes and descriptions. Every month Property Maintenance takes on new and varied tasks, from fixing leaky taps to large scale commercial renovations. Examples of typical jobs we undertake include fitting bathrooms, replacing decking, installing radiators, tiling walls, unblocking drains and fixing guttering, all of which are carried out reliably and accurately by qualified Property Maintenance tradesmen. We offer custom work in addition to straightforward repairs and touch ups, incorporating any special requests or existing materials that you wish to provide. If you're not sure if your job or project is covered by Property Maintenance, give us a call. In the unlikely event that we can't help, we'll recommend someone reliable who can. With interior and exterior services available for all properties, you can benefit from a high quality tailored finish to add instant value and appeal to your home or business. Property Maintenance specialises in work for homeowners and landlords wishing to sell or rent problem properties or increase their market value. All Property Maintenance services are available for businesses as well as homes, offering excellent value for money. You can rely on us to work around you and your schedule with minimal hassle and little disruption to your business or home life. One of the many advantages of hiring Property Maintenance is that we can scale our services to suit you. Whether you have a simple one-man job or need a team of professionals with different areas of expertise we can allocate the best resources for your particular task and change them in line with your changing needs. We offer a range of planning, fitting and general refurbishment services for homeowners, landlords and business owners alike. Our free advice service can help you if you don't know where to start or want an opinion on the best use of your space. Property Maintenance also offers a complete project management solution which ensures that refurbishment runs smoothly from start to finish, ideal if you have a big project in mind or have limited availability to oversee work yourself. With so many satisfied customers throughout south east England, it's not surprising that Property Maintenance gets lots of requests for ongoing work. We offer long-term maintenance plans and emergency plumbing and roofing services for your peace of mind. Our 'cancel any time' policy means that you never need to feel locked in. We offer emergency cover for select services such as plumbing, and welcome enquiries from those looking for long-term contracts. Property Maintenance has a number of small expert teams who can be employed on a per-project basis so you can enjoy the convenience of only dealing with one company for all your property needs. Property Maintenance has grown from word of mouth recommendations and repeat custom to become one of the most respected property maintenance companies in the south east. All jobs are completed to the highest standards and we aim to provide complete customer satisfaction. We employ all the professionals you need and develop small teams based on your requirements, so you don't have to worry about liaising with several different companies. Find out more about Property Maintenance or contact us to get started.